and these are hand painted also. 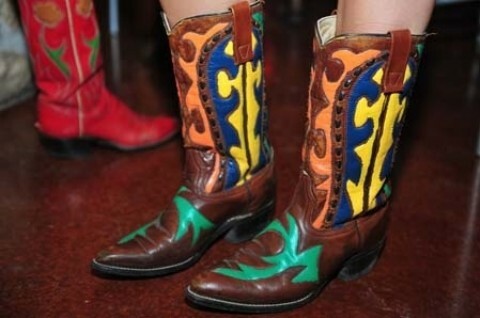 Hand made cowboy boots are becoming more and more a dying breed. The hand made boot is expensive so not everyone can afford them. Even the working cowboy has found a line manufactured western boot the way to go. 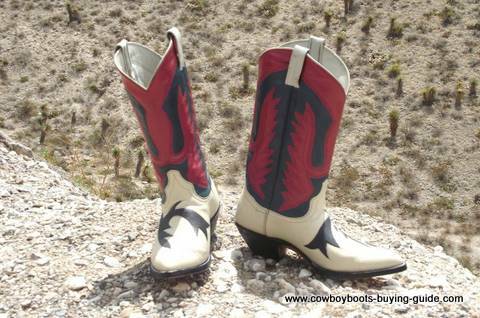 One of the best hand made cowboy boots that we have found in this area comes with a twist. They are not only handmade but they are hand painted also. This makes for stunningly beautiful western footgear. In our quest to find the best buys and the most beautiful western boots we came across a unique artist here in our Old West Texas Town of El Paso. 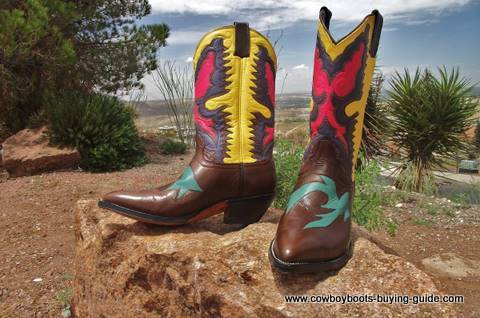 She is hand painting top quality cowboy boots and turning them into showcases and collectors items. Annabelle Estrada is a creative native of El Paso, TX. She has spent her whole life in the west Texas town of El Paso, aside from studying abroad in Madrid, Spain in college. She is a graduate of University of Texas at El Paso. 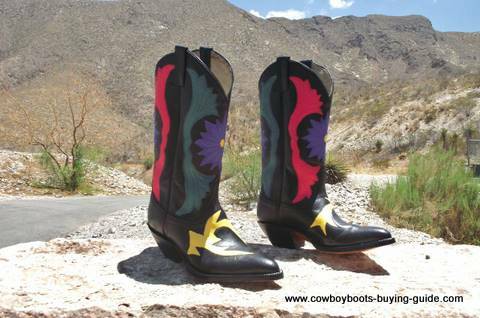 Annabelle’s love for cowboy boots blossomed after working at the El Paso Convention & Visitors Bureau during college. There, she found out that El Paso was the cowboy boot capital of the world, and developed an affinity for the art. After being invited to a western themed party, she decided that it was time to finally invest in a great pair of western boots. She had a flair for the bold and bright but the only boots that fit that description were in the thousands of dollars. She decided to paint some boots bright herself and bought a used pair in case it didn’t work out according to plan. The finished boots were a huge success. Everyone at the event was complementing her on her footgear. Everyone was amazed that she had painted them herself. Even the professional photographers working the event had to stop take pictures of the amazing looking boots. After wearing the them proudly for many months, she finally had a revelation at a music festival in Marfa, Texas. As she was walking through the crowd in her painted boots, she saw a girl point to the floor in front of her with urgency. Annabelle immediately thought the girl was telling her to watch out but to her astonishment it turned out the girl was awestruck with the beautiful western footwear she had created. From there on began Annabelle's venture creating one of a kind masterpieces. She is doing many special orders. University colors have been especially popular. Please let us know using the form below what you'd like for Annabelle to create for you. You can send her your ideas, colors or any specifications for your special and unique western painted boots made by Annabelle. Be aware that the Holiday Season is around the corner so put your orders in as soon as possible.